Do you know what a proof coin is? Are you wondering how to tell if a coin is proof grade or not? NOTE: Proof does not refer to a particular grade. Rather, proof refers to the result when a coin is manufactured in a special way. 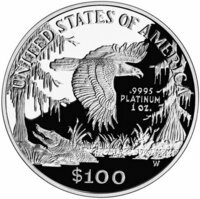 Proof coins represent the finest, the very best, that any U.S. Mint has to offer in terms of quality, care, and attention to detail when it comes to producing a coin. Proof coins vary greatly from their business strike (regular, circulation- quality) counterparts. While business strikes are produced by the multi-millions nowadays — by machines which process the coins many at a time, then pile them together in heaps as they wait to be sorted, counted, and bagged for shipment to banks — proof coins take a different path in the mint. The life of a proof coin starts off with being highly polished — polished enough to produce a mirror-like finish. These polished blanks (also called planchets) are then inspected for any flaws. Then, they are hand-fed into a striking machine. A polished die (the “stamp,” as some would think of it) impresses an image onto a coin. However, the die does not strike the coin just once (as is the usual case for regular coins). In fact, a proof coin will be struck multiple times — purposefully — so that the most minute details will be fully struck. This results in a coin of magnificent sharpness. Afterwards, these specially struck coins are carefully handled (any hands which pick these coins up are gloved, by the way) and then packaged inside a special container designed to keep the coins safe from dust, moisture, and other hazards. The packages into which the proof coins are placed become the proof sets that collectors purchase. The United States has been producing proof coins since the 19th century, but only since 1936 has the U.S. Mint produced the proof sets that we know today. Proof sets have seen interruptions in production. This is particularly noted during the war years of the 1940s and right up until 1950. 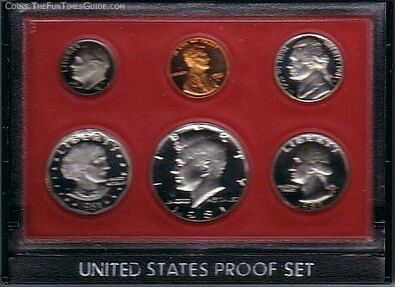 Proof sets also were on hiatus during the years of 1965-1967, when the U.S. Mint was nursing a coin shortage crises and assembled Special Mint Sets, which are sets of coins which possess a “proof-like” finish but clearly lack the quality of the proof coins from earlier or later years. Until 1968, the Philadelphia mint handled proof coin duties. Since 1968, the San Francisco mint has been the main facility for striking proof coins, except for a few exceptions. While the proof sets produced between 1936 and 1955 were housed in cardboard, and some from 1955 and all from 1956 through 1964 were sold in cellophane containers, Special Mint Sets were housed in hard plastic cases. 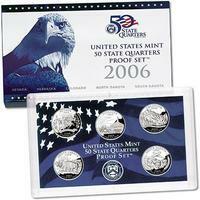 Such was the situation when the U.S. Mint returned to regular proof set production beginning in 1968. All proof sets since 1968 have been housed in a small variety of hard plastic containers. From 1973 through 1982, these proof sets (housed in red and black containers) actually were sold with a panel which, when positioned correctly, allows the proof set to stand displayed on a desk or a shelf. However, most years of the proof sets issued since 1968 do not include this feature. Proof sets struck in the current year can be purchased straight from the U.S. Mint. Proof sets from previous years can be bought from most coin dealers. How Much Are Proof Coins Worth? Many people believe that proof coins are of special monetary value. In fact, some are, especially error proof coins — those which have an unintentionally missing mintmark or other mistakes. While there are a few varieties which have rendered certain proof coins to escalate in value, such as certain 1979 and 1981 Susan B. Anthony dollars which have clearer “S” mintmarks than other proof dollars minted during those years, proof coins — especially the modern proof coins struck since the 1960s — have been struck with mintage numbers passing one million or more. Therefore, they are generally neither rare nor highly valuable. By the way, to further illustrate the point that “proof” is not a grade, consider the fact that many proof coins have been broken out of their containers over the years and have entered into circulation. These proof coins are indeed still considered proof coins, but will be graded as to the amount of wear they bear.